So, in the third week of January, seventeen of us land up at Port Blair airport. In a group of seventeen people, most came from Hyderabad, while a few joined us from Kolkata. 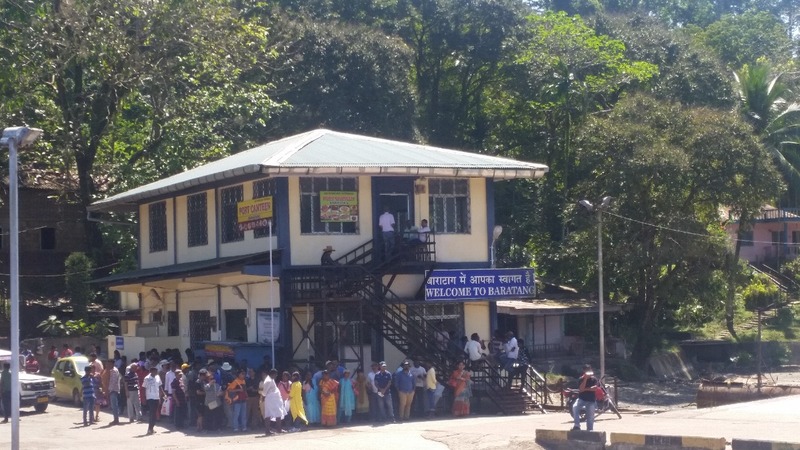 The airport at Port Blair is a small international airport with limited infrastructure and named after Veer Savarkar. Indigo had only one bus at arrival which made multiple trips ferrying the passengers from the tarmac to the terminal leading to quite a delay. Our travel agent was waiting with our cars outside the airport. A dash to our hotel followed by a quick lunch, and off we went to our first destination Corbyn’s Cove. The place is only about a twenty-minute drive from the city. Corbyn’s Cove is a curved beach surrounded by palm trees. 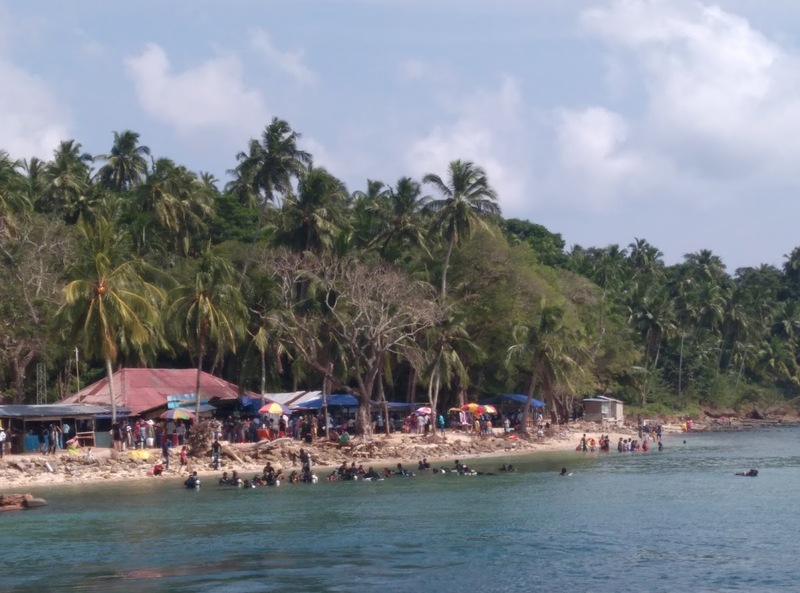 Though the beach is extremely scenic, the tranquility is spoilt by touts coming to you and marketing their water sports services, and loud crowd of tourists and the dirt around you. This is common in quite a few of the beaches of Andamans. We took a speedboat ride to Snake Islands at a little distance across the sea. You can ride a water scooter too. There is a restaurant across the main beach if you are interested. The beach is just a place to spend a couple of hours, though the view here is nothing compared to some of the places you see later in the trip. Our next destination was Cellular Jail, perhaps the most important site to visit in the whole of Andamans. The jail was the most feared location for housing the prisoners during the British rule. 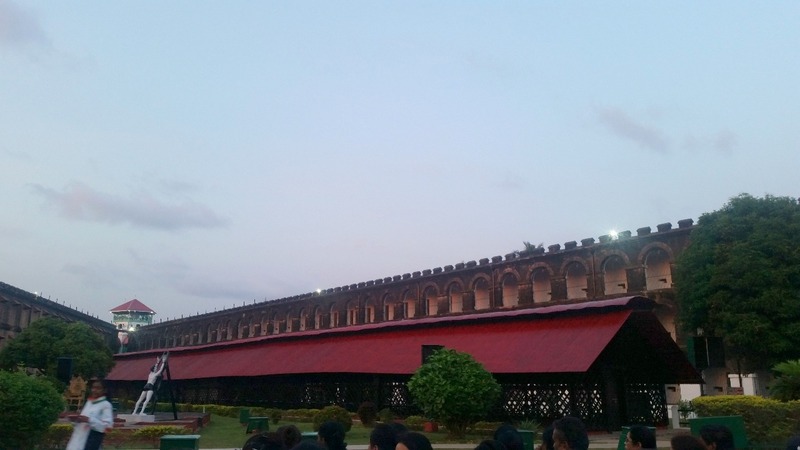 In 1858, the British brought around 200 of the most radical Indian prisoners to this jail, the punishment which was also known as “Kaala Pani”. 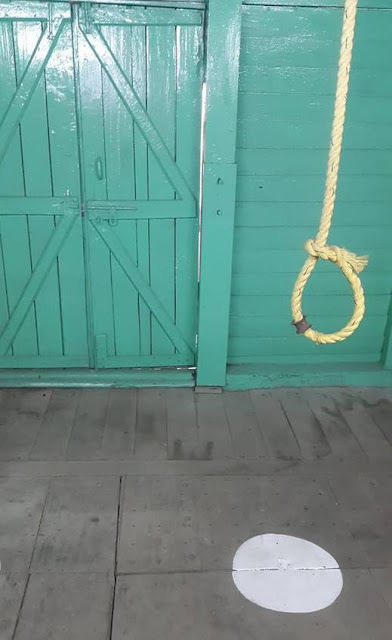 Our guide took us to all the important parts of the jail including the gallows, places were the prisoners were tortured, where they faced punishments, and of course their prison cells. 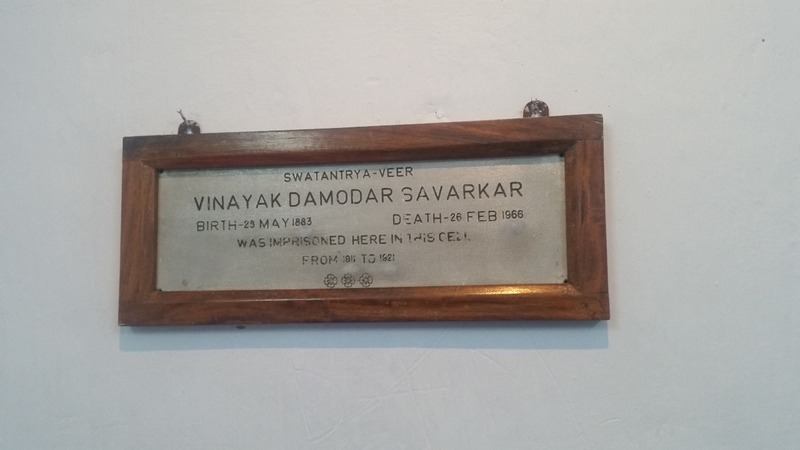 The most important cell where tourists flock is the one which housed Veer Savarkar. One can see photographs and certain utensils which were used by him in this jail. You must also go to the watchtower on top to get a beautiful view of the Bay of Bengal. In the evening, we watched the Sound and Light Show depicting the history of the jail. There is quite a rush, and it is better to buy the tickets in advance. While the narration by Om Puri impressed, the use of sound and light, as well as music, disappointed compared to shows I have seen in other parts of India. However, the information provided is fairly comprehensive. The museum at the entrance of the jail is also a must-visit. 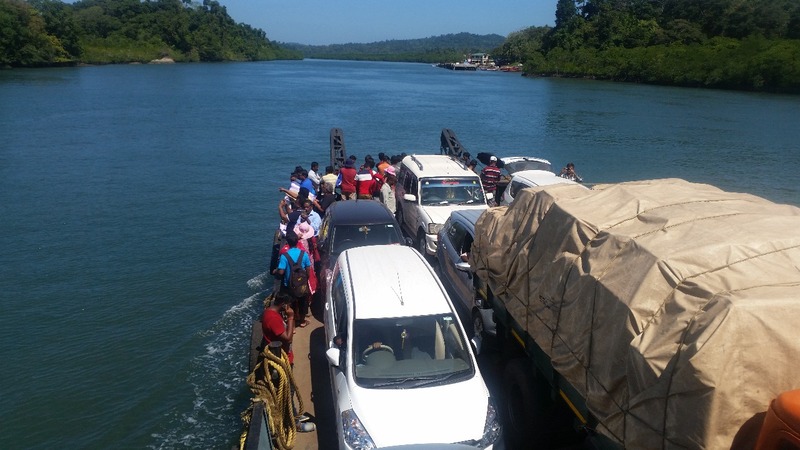 Port Blair has quite a good transport system. If you do not have your own vehicle, you can use buses and autos which are available abundantly. 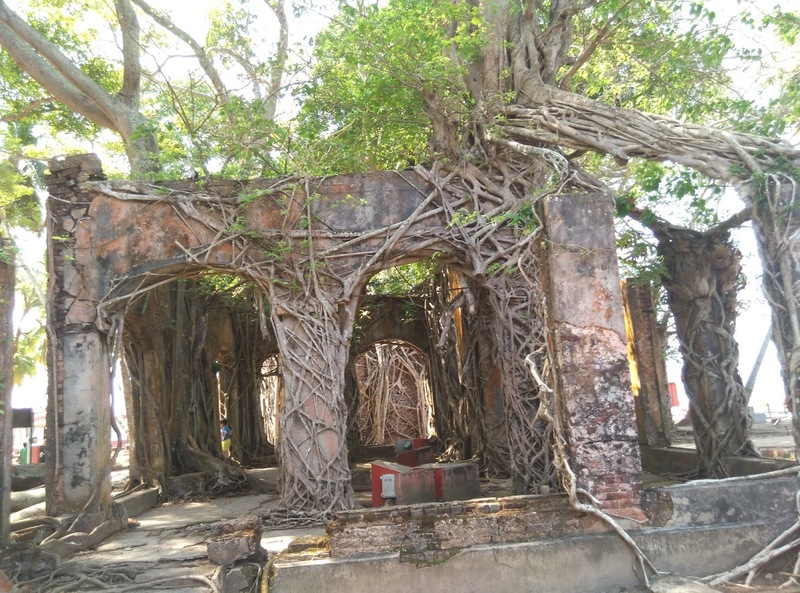 Seventy percent of the inhabitants of these islands are Bengalis, and the tourism culture here mimics the laid back and couldn’t care less attitude of some of the tourist places of Bengal. You need to be vigilant and assertive with your travel agent to get your rightful dues, else you may have a couple of sightseeing points quietly removed from your itinerary. 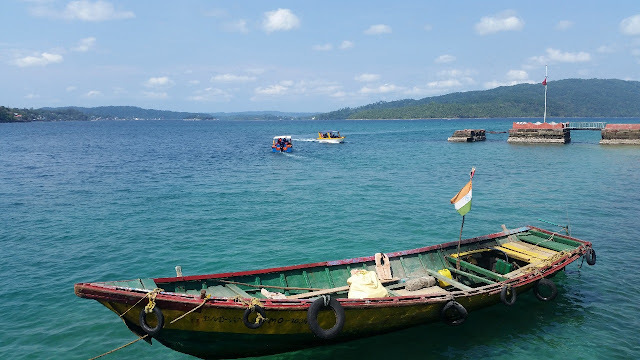 Port Blair has a few places around it which are worthwhile to visit. The next day, sharp at 9 am, we were at the jetty taking a launch for the island tours. 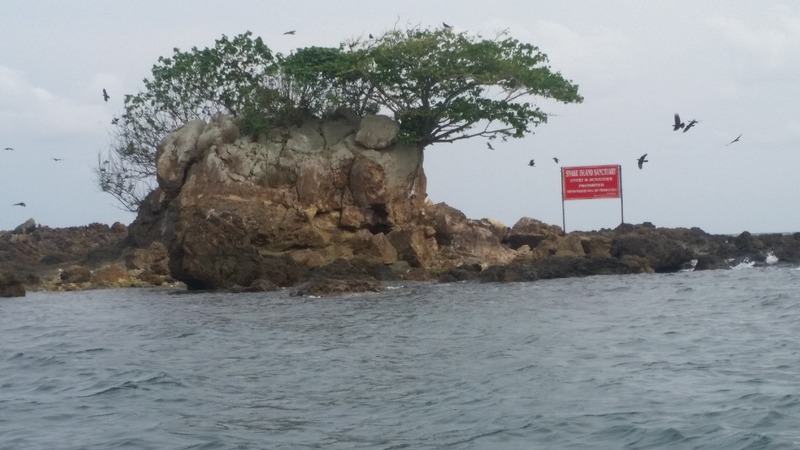 The first island we visit is Ross Island. 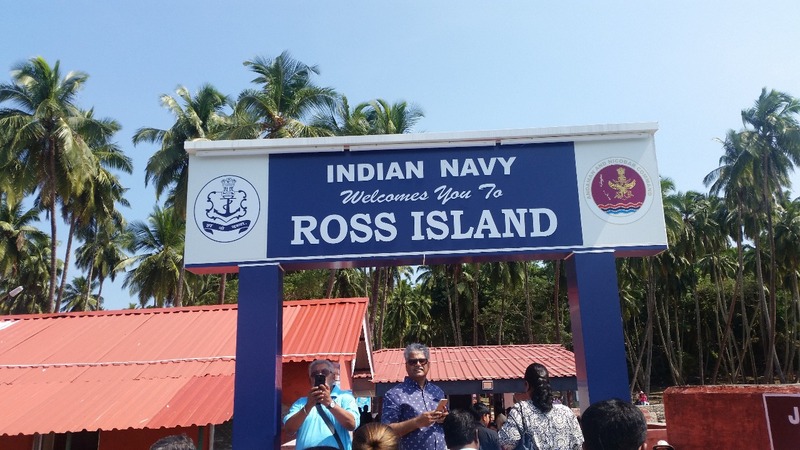 Named after marine Captain Daniel Ross, the island was the headquarters of the British in Andamans till 1941. As you reach the place, you have to buy tickets to enter the island. There is a conducted trip by buggies to take you through the ruins to the highest point on the island. As you pass through the old dilapidated mansions the driver explains them to you. You can also take a walk around the place. The deep blue sea around the island has a different colour shade. While it may be sufficient to spend a couple of hours here, the history buffs may need more time and are advised to attend the sound and light show here in the evening. However, we left this place around one o’clock to go to our next destination - Coral Island also known as North Bay. As you approach North Bay, the personnel in the boat start explaining the water sports activities available there. The active portion of the island is only a few hundred meters and you have a clutch of shops and restaurants apart from water sports activities. 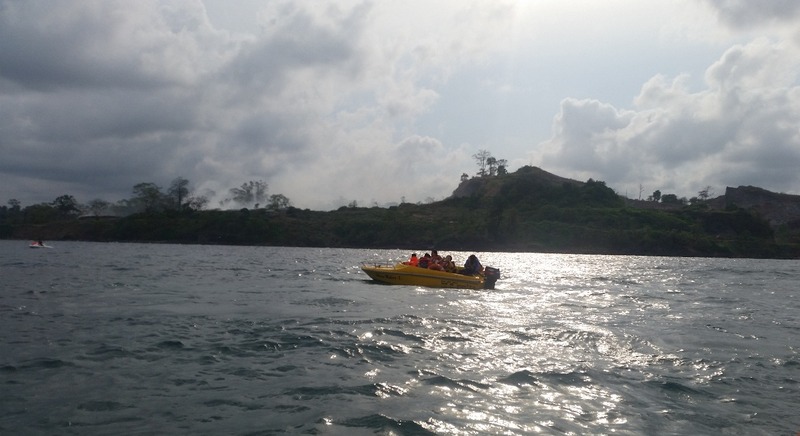 Among the water sports, there is scuba diving, sea walking, and snorkeling. Since you have to return by the same boat by which you reach the island, you have only around three hours to spare. Hence you need to be quick to start these activities. If you are interested in viewing corals but do not want to get into the water, there are boats will glass bottoms and something called Andaman Dolphins, a launch with a transparent glass bottom with magnification, which goes into the deep sea to show you corals. This trip which was around Rs 1600 per person was too short in my opinion (around 20 minutes) though we could see a lot of corals and colourful fishes. Some of us, who went snorkeling enjoyed themselves. 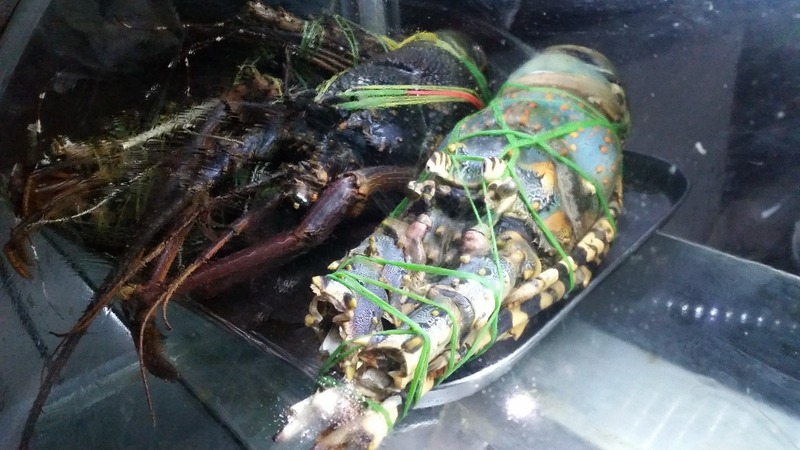 The restaurants at North Bay serve fresh catches of seafood. 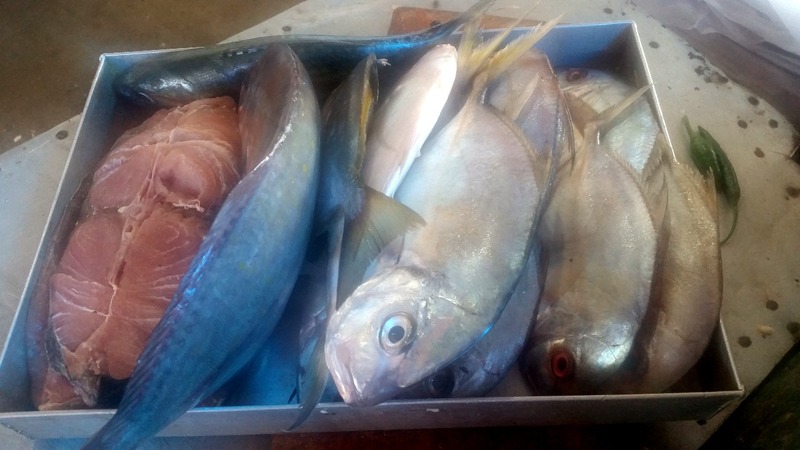 You can look at the catch of fish and place your orders. A popular fish in Andamans is called Kukery (I hope I got the spelling right), a single bone sea fish double the size of a pomfret. 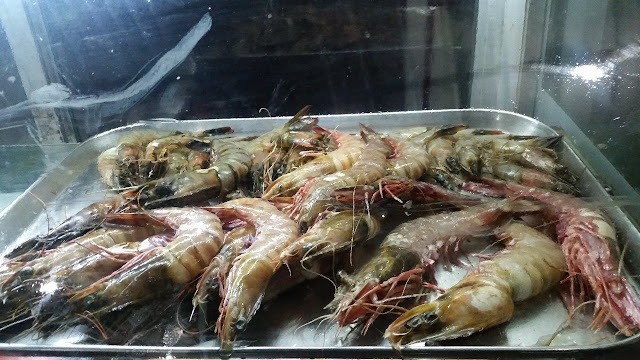 You also have prawns, squids, and crabs. The island tour ended around 5 pm at the same jetty that we started from. 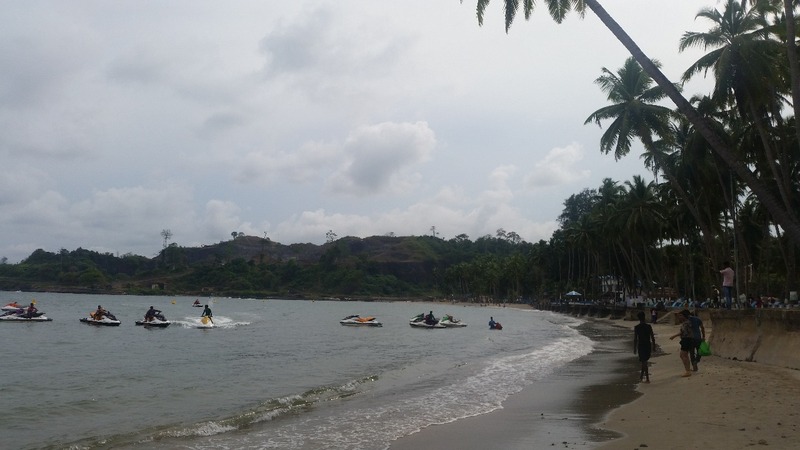 Another day trip from Port Blair is to a beach named Wandoor, about 25 km away. The clean blue sea here is inviting, and ordinarily, this beach is open for swimming and coral sighting. 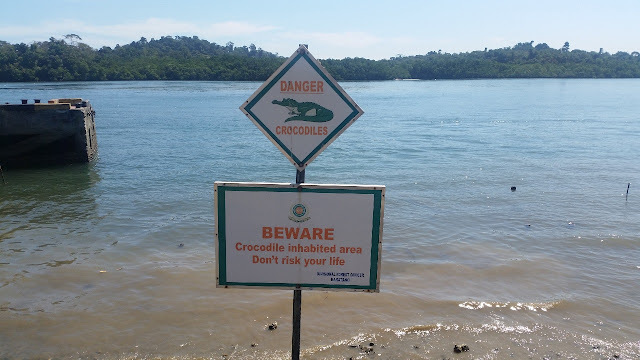 However, recently the beach has become infested with crocodiles, and in November 2016, a crocodile dragged a swimmer into the sea. After that incident, water activities and swimming have been banned here. 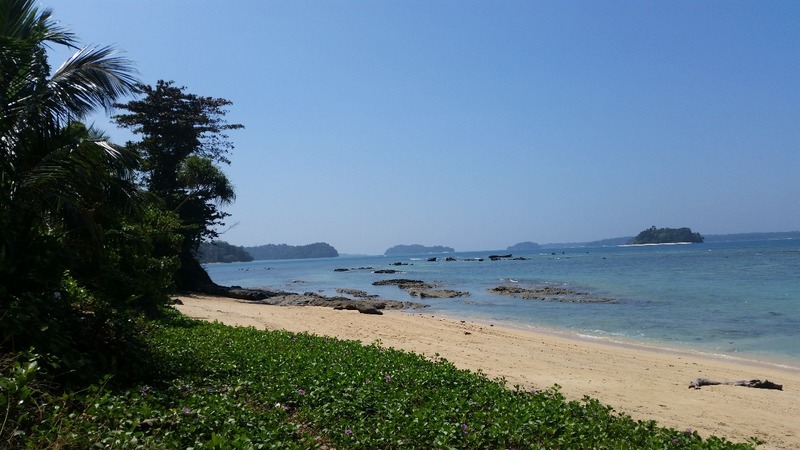 If you plan to visit Havelock and Neil Islands, a visit to this beach may be avoided. 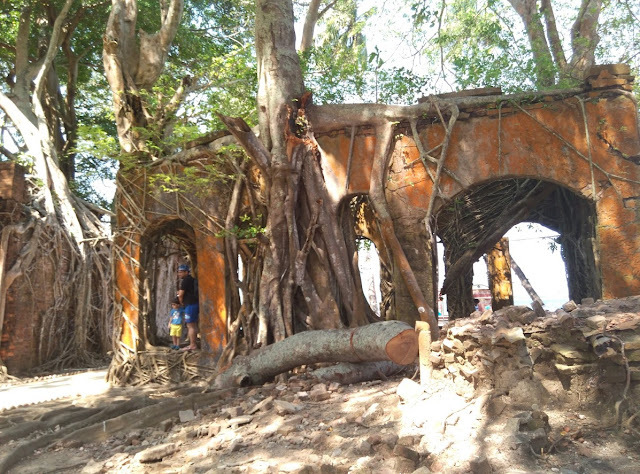 The tsunami had affected Wandoor beach, and you can still see the uprooted trees. 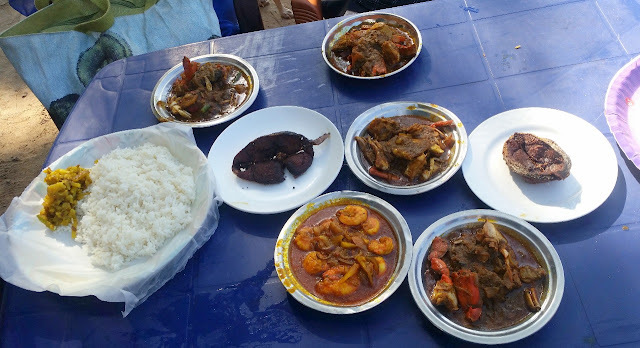 The beach shacks here have a seafood available, we tried prawns, crabs and the local fish cooked in Bengali style. 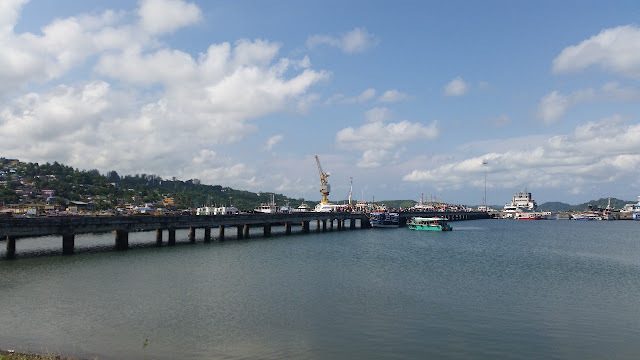 The third day trip from Port Blair was to Baratang Island. It is a long road journey of 110 km through Jarwa Reserve Forest, where one of the rare tribes of Andamans, the Jarowas live. For this trip, we had to start at 6 am in the morning. We reached Jirkatang check post, 40 km from Port Blair by 8 am. From Jirkatang, you have to cross the reserve forest only in a convoy escorted by the police. You cannot stop your car and get down in the forest, even overtaking is not allowed. The convoy timings are fixed – they depart only four times in a day. Our ID cards were checked at Jirkatang, and permits issued for traveling to Baratang. 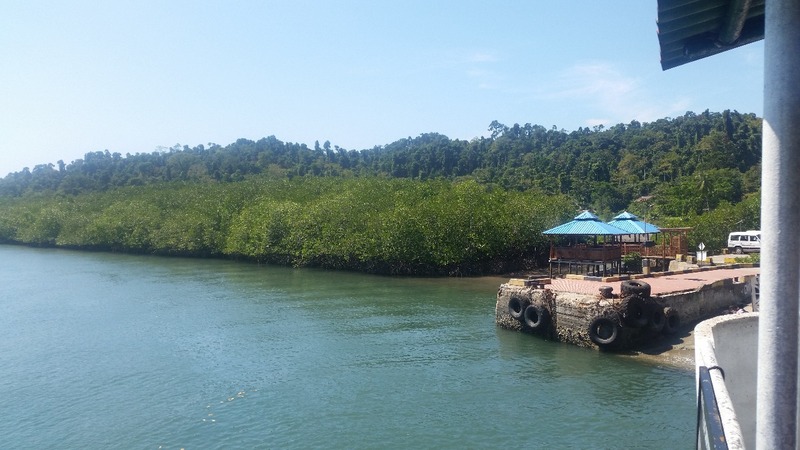 After breakfast at Jirkatang, we proceeded through the dense mangrove forests for about an hour and a half to reach the Middle Jetty. En route we were lucky to see some of the local tribal Jarwas in traditional dresses. You are prohibited from taking photographs of the tribals here, as they prefer to live a life secluded from mainstream civilization and prefer not to be disturbed. At Middle Jetty, you have to take a short launch ride to reach Baratang. The large launch has provisions of carrying your car too. 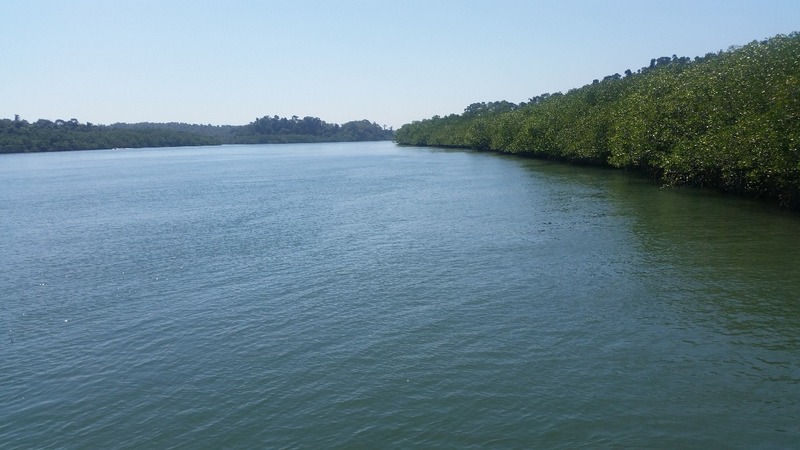 At Baratang, there are three destinations to be done – Limestone caves, Mud Volcano and Parrot Islands. For parrot Islands, you need to visit in the evenings and hence need spend a night in Baratang. 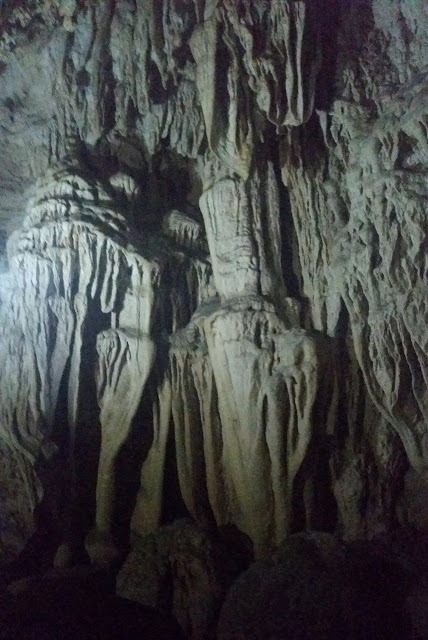 We were on a day trip and had time only to visit one place, and we chose the limestone caves over Mud Volcano. To reach the limestone caves, you have to travel for around half an hour through a lagoon in a fiber boat. You reach a village which is inhabited by Santhals who had migrated with British help in the early Twentieth century. The limestone caves are bang in the middle of the village. 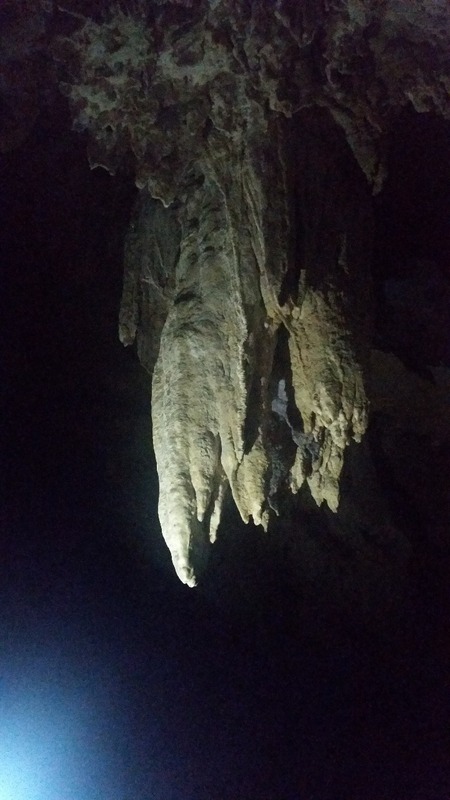 A guide accompanying you shows you the naturally created structures inside the caves. Here is a tip. 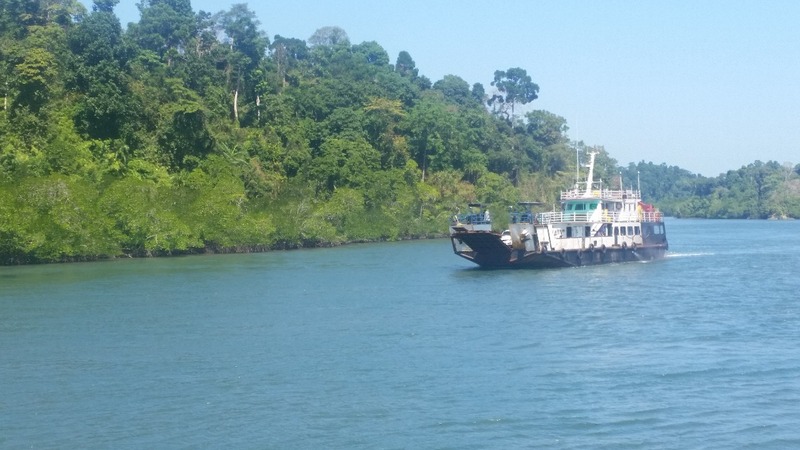 If you are interested to see both Mud Volcano and Limestone Caves, you need to start at 3 am from Port Blair and take the first convoy at 6 30 from Jirkatang. Else, like us, you will have to be satisfied with just one. 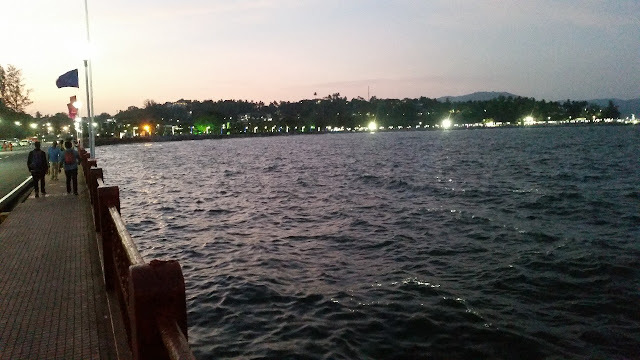 We returned to Port Blair by 6 pm. A nice area in Port Blair to visit in the evening is the Marina Park area. 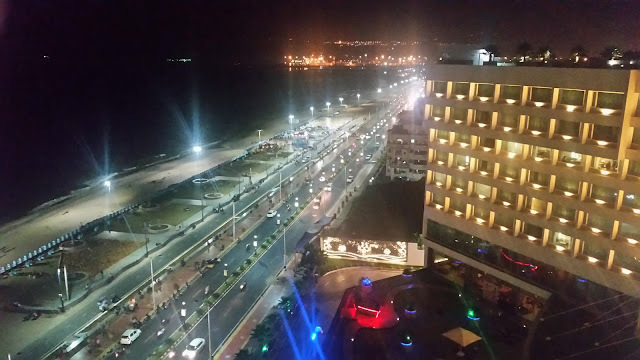 It gives a nice view of the sea face. There is a place named Lighthouse Restaurant opposite the stadium here which serves some good seafood. 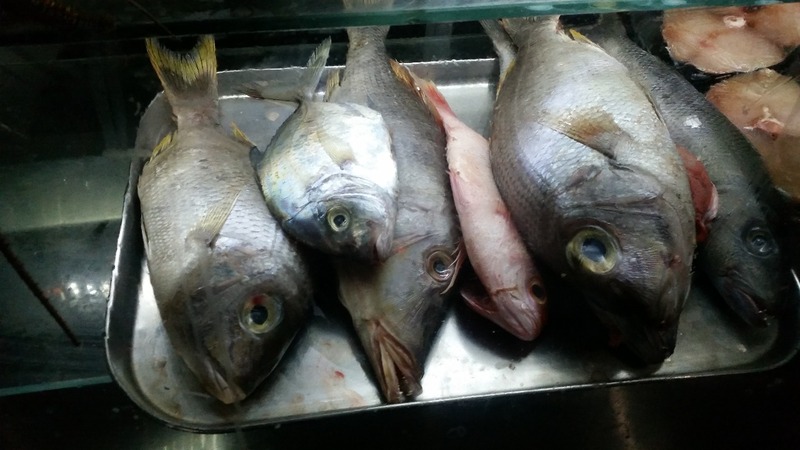 Unfortunately, the cuisine of tribals of Andamans is not showcased in Port Blair at all. 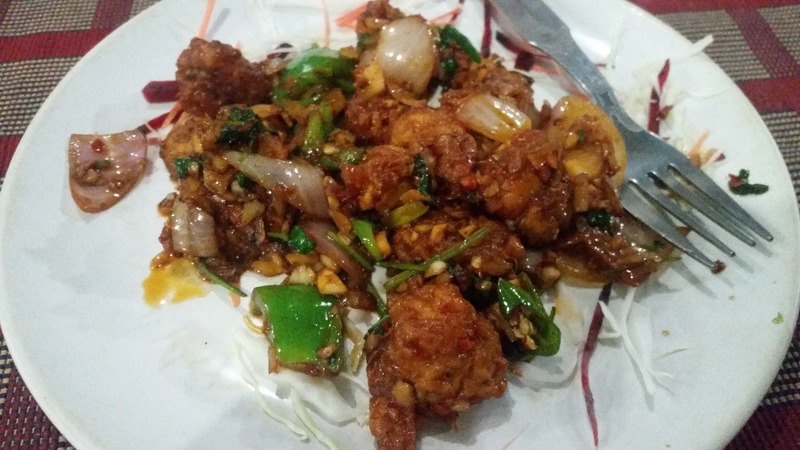 You mostly have Bengali, North Indian and Chindian food available. 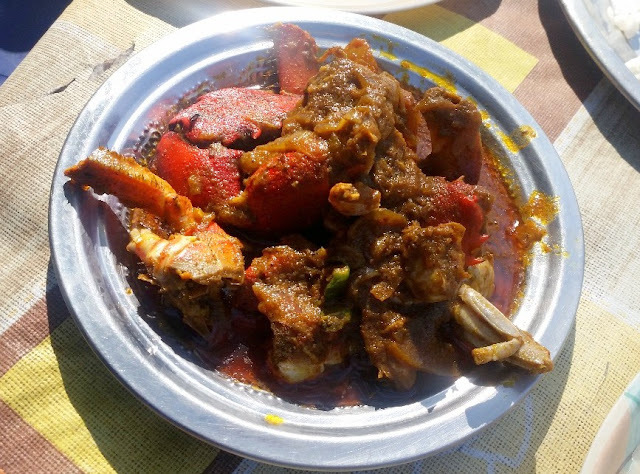 The seafood is fresh, but the preparations are rudimentary, mainly sautéed with onions, tomatoes, turmeric, and garlic. 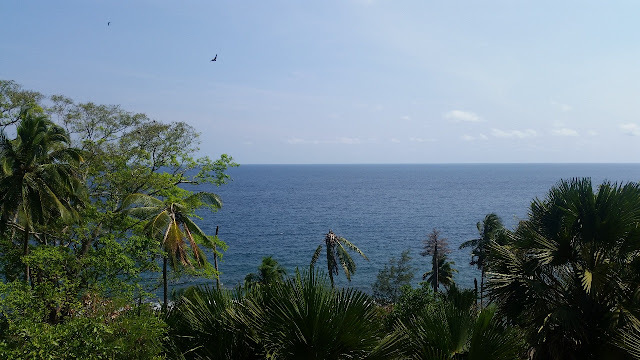 About four days are sufficient to see Port Blair to a large extent. 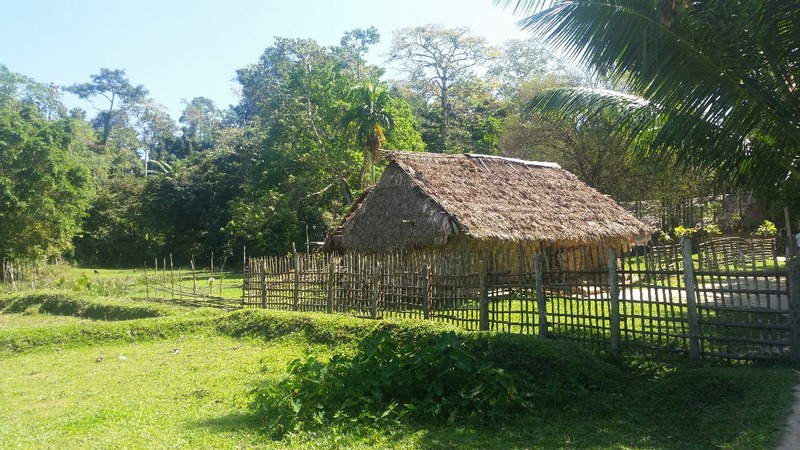 For a more in-depth tour, it is advisable to spend an extra day in Baratang, so that all the three places of attraction can be visited.